Register Log In ECN Forum Forums Photos for General Discussion TOO LATE ! I'm not a member, but enjoy your site. Thought I could share a few pictures of my own. the house, as soon as possible? I said the best I could do would be Wednesday of the next week. Much to my surprise, this is what I found. 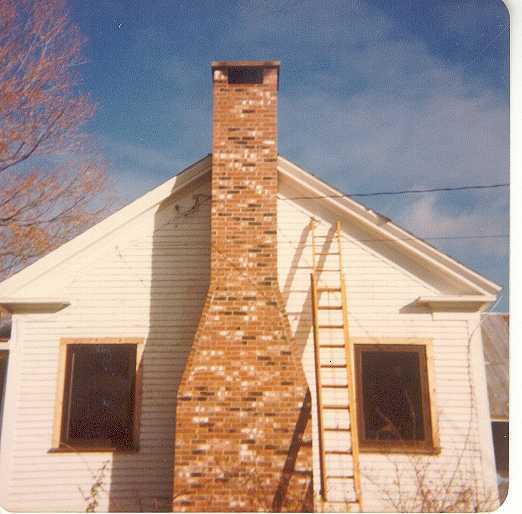 Apparently his brother-in-law finished the chimney anyway, it was such great weather. And it looks as if they tested the draft, notice the discoloration at the top. I did relocate the service, but had to take pictures first just to prove this really happened. The Power Company also had a good laugh. 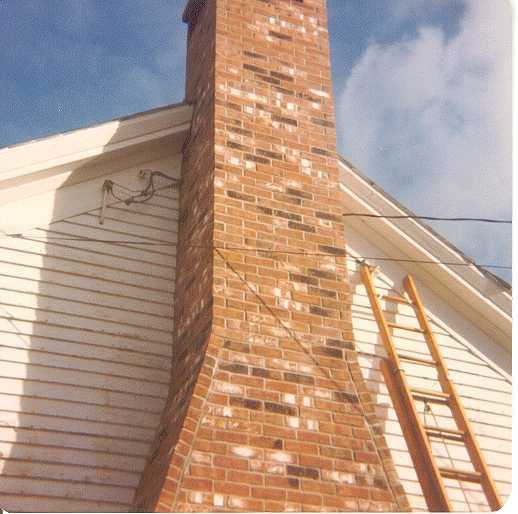 The service drop didn't actually go through the chimney, but the drop was wedged between the house and chimney blocks. I know of one 4/0 SEU service entrance that the masons actually cemented into a chimney. Where is the Meter on this house? Is the SE Cable allowed to be under the siding like that? Or does it go into the wall?